Are you ready for Thanksgiving? Roasting Turkey for Thanksgiving is one my favorite thing to do because my recipe is a big hit with my family but since we’re only few I often end up with leftovers. 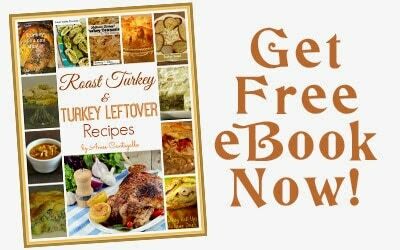 If you have the same problem then make sure to start saving delicious turkey leftover recipes that your family will enjoy and of course not waste your turkey. 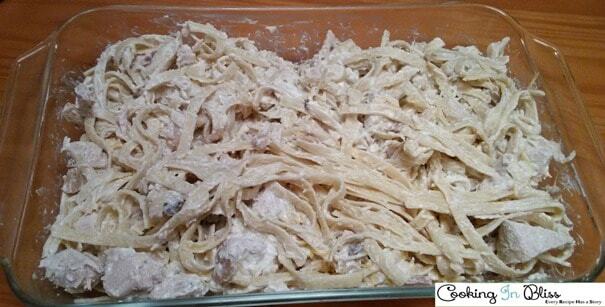 This Turkey Tetrazzini Recipe is my family’s favorite. It’s tasty and so easy to make, your family wouldn’t even think it’s made from leftover turkey. Cook pasta according to package directions. Toss pasta with vegetable broth. 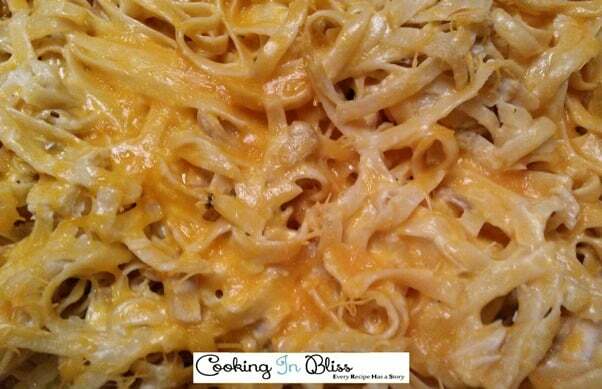 Mix in remaining ingredients except 1/2c cheddar cheese. Put mixture into a baking dish. Sprinkle cheddar cheese on top. Cover and bake at 350?F for 30min. Uncover and bake another 5 min. 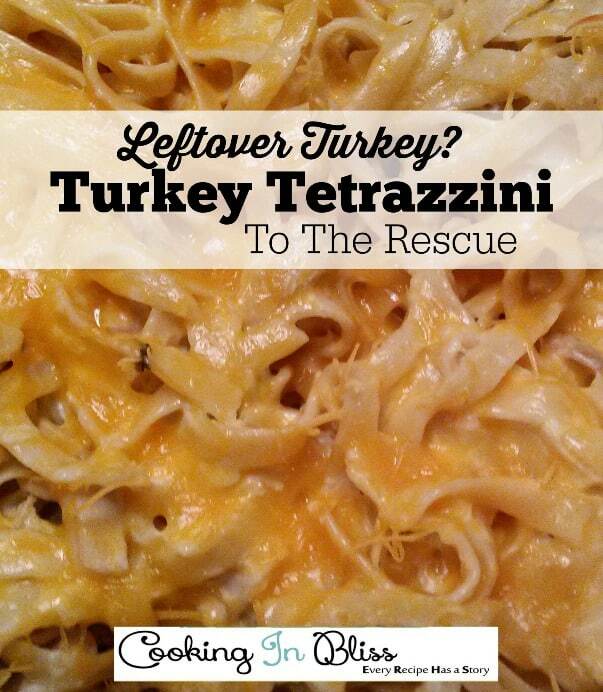 Pin and save this Turkey Tetrazzini Recipe now! 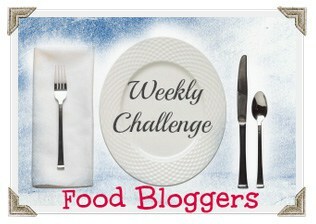 Read my tips on Roasting a Turkey!